E Mail addresses on the Members Only page and I am aware there have been some successes with old friends making contact after many years. New members are finding the Website almost weekly and there were quite a number of "new guys" ,attending the reunion last year for the first time having found the details on the website. One Gentleman made the trip from the U.S.A.
All of this is very satisfying but recently something happened that must rank as one of the most astounding moments in this Website history. I like to check on Ebay, particularly anything 213 Squadron related. 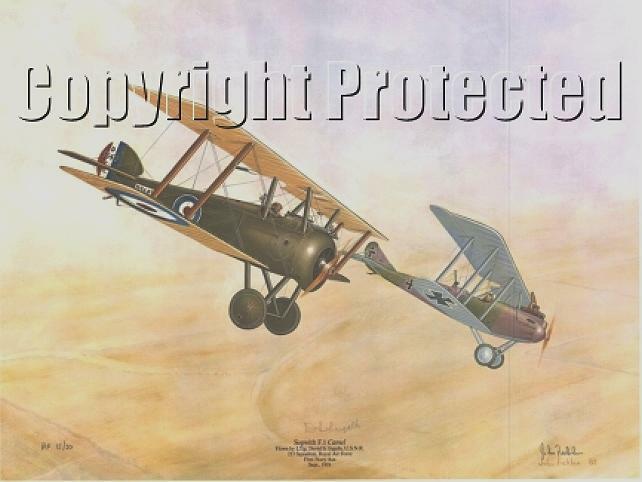 Recently I came across a print of a Sopwith Camel, piloted by David Ingalls. If you have read the Squadron's history you will know David flew with the R.N.A.S in 1918 when they were amalgamated, along with the Army Air Corps, into the newly formed Royal Air Force and were renumbered 213 Squadron. The picture on Ebay was an artist proof which are very expensive. I wrote to the owner, John Lesher, and asked if he would send me a better scan of the print and allow me to put it on the Association website. I was stunned when I received a reply saying he wished to donate the picture to the Association. Good to hear from you and thank you for your kind words. The brotherhood of aviators is a bond understood by few and it is truly a pleasure for me to contribute to the heritage of the 213th. For the historical record, I graduated from the United States Air Force Academy, served six years in the US Air Force flying transports. Never served in a combat zone of a major conflict, but did ferry aircraft to southeast Asia during the Vietnam war and served in the middle east in the mid seventies. After military service I was employed by Delta Air Lines and flew various aircraft for twenty-six years, retiring as a captain and examiner on the Boeing 767-400 in 2003. My brother was in the printing and engraving business and introduced me to the John Ficklen art. I began to collect his prints and through my brother was able to obtain several artist's proofs with original signatures. After your e-mail of introduction I visited the 213 web site and was impressed with the content and professionalism displayed. 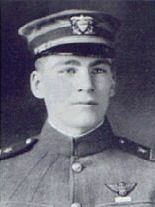 I also believe that history keeps us humble because it reminds us that if not for the sacrifices of others, we would not be. Donating the print to the 213 Squadron Association is my small way of contributing to that notion. John was as good as his word and the print arrived in the UK from the USA a short while later. The picture above does not do the original any justice at all. It is a truly wonderful picture, signed by the artist and David Ingalls. I have delivered the print to Frank Leeson who is arranging for it to be professionally framed and a small engraved plaque made to acknowledge Johns kind donation. Frank will be writing a letter of thanks on behalf of the 213 Association and the members. It is planned to make a formal presentation of the print to the Association at this years reunion at the RAF Club in London where it is hoped to remain on permanent display.